Founded in 1981, Norfolk Medical is a privately held, family-owned company focused on creating the best outcomes for the patients that use our products. Based in suburban Chicago, we design, develop and manufacture medical devices to enable the administration of medications. 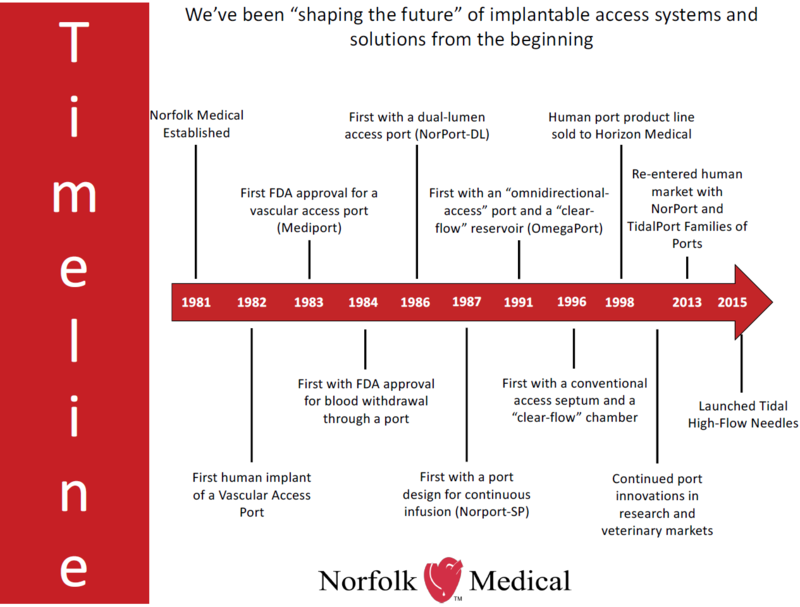 Widely acknowledged as one of the pioneers of vascular access ports, or VAPs, Norfolk Medical’s innovative pursuit resulted in greatly improved products for patient care. The company’s current focus is on the design and development of next-generation VAPs and needle sets for the oncology, interventional radiology, surgery and home-health marketplaces.